Some people want larger houses. 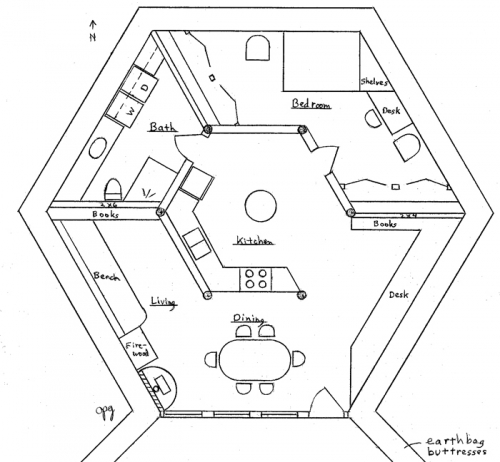 This can be achieved by clustering domes, roundhouses, hexagons, and adding on pantries, sun rooms, greenhouses, etc. 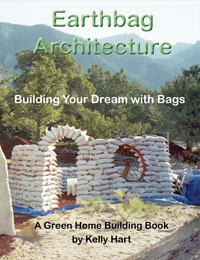 to create a home just the way you like. 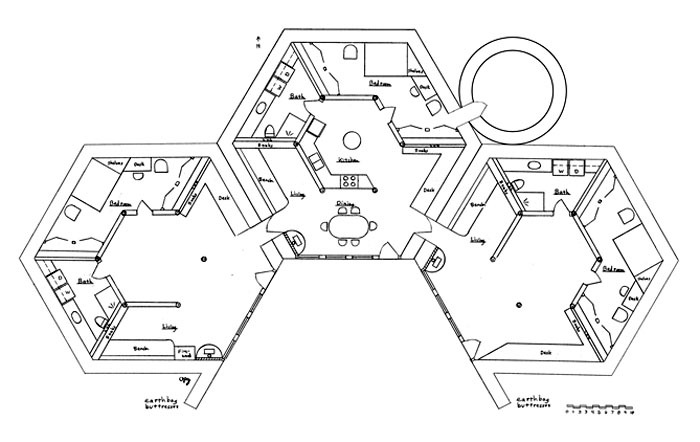 The above floorplan clusters three Earth Lodges with a circular closet/storage room attachment to one of the bedrooms to provide a 3 bedroom, 3 bath home of about 2600 sq. ft. interior space.